DigiPulse, (symbol DGPT) has been around since Oct 1st, 2017 and works without the need of any monetary authorities. You cannot mine the decentralized cryptocoin, so in order to get DGPT, you are able to buy with a cryptocoin exchange service. To keep up to date with the latest news from DigiPulse, you can find them on Facebook, Reddit and Telegram. We don't have any exchanges listed for DigiPulse yet, check back soon! We don't have any wallets listed for DigiPulse yet, check back soon! We don't have any debit cards listed for DigiPulse (DGPT) yet, check back soon! 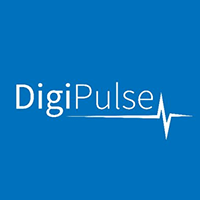 We don't have any price charts listed for DigiPulse yet, check back soon!